BUFFALO, N.Y. (WKBW) – Across the country, women and men recognized National Equal Pay Day. The date, 4/12, symbolizes how far into 2016 women must work to earn what women earned in 2015. Here in Erie County, the gender pay gap is extremely large. According to Business First, the average man makes nearly 40-percent more than the average woman. “When there’s inequality in pay, everyone suffers,” said Lisa Coppola, an employment attorney and business owner. Coppola added that in many of those cases, women had more experience and education than men who were promoted instead. On Monday, the State Assembly passed legislation calling for equal pay for women with state jobs. Across western New York, there are multiple organizations to help female entrepreneurs. There are several obstacles to overcome. There is a big gap in the number of women and men getting college degrees. 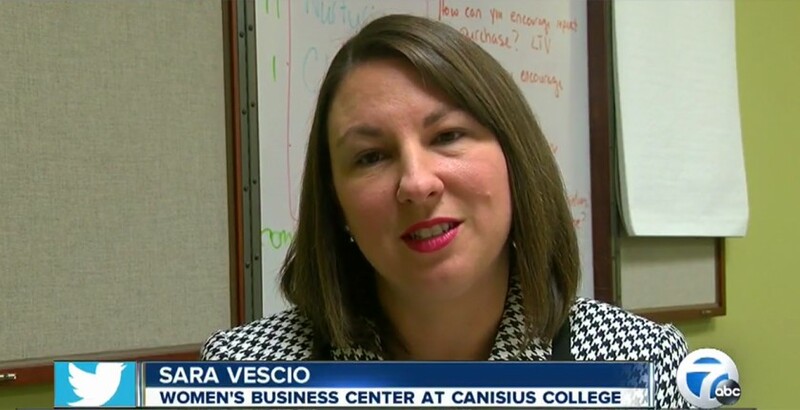 In addition, “women don’t receive as many loans from banks as men do or their dollar amount don’t seem to be as large as men,” said Sara Vescio, the Executive Director of the Women’s Business Center at Canisius College. The center teacher women forming their own businesses about marketing, getting loans and working with other companies in the area. It also teaches a lesson for when businesses grow. The Erie County Commission on the Status of Women will be holding an “Unhappy Hour” at the Big Ditch Brewery on Tuesday evening at 5:30 p.m. The event includes discounted drinks for women and awareness about the gender pay gap.